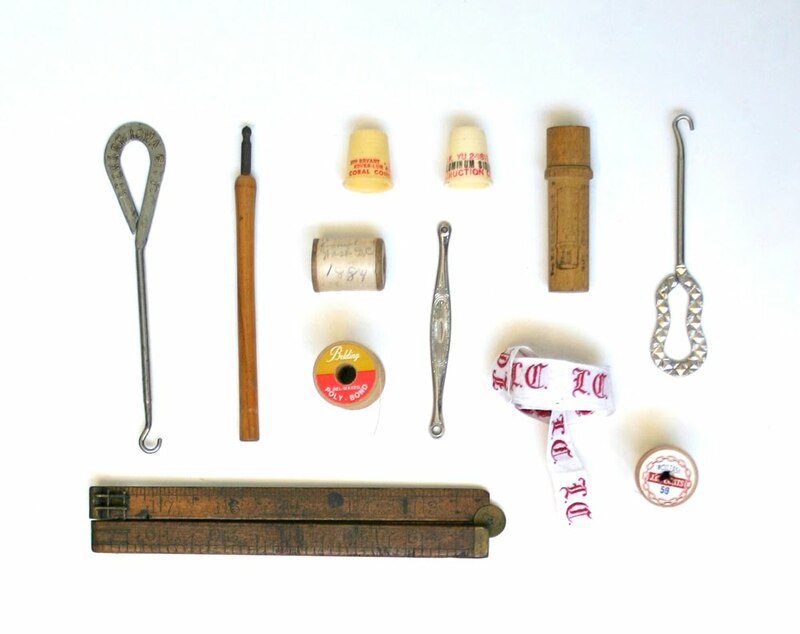 Vintage sewing/handiwork implements + supplies. When I saw this it made me think of getting my teeth cleaned. Yes, those are shoe button hooks.